WHITE PLAINS, N.Y. — Heineken today kicks off its “Summer of Soccer” campaign as a worldwide leader and supporter of the sport. Soccer has been a central platform for Heineken globally for decades, and the brand’s recently launched U.S. marketing campaign “Cheers to the Unexpected” includes specific soccer creative called ‘Introduction‘ that celebrates all of the unexpected moments in soccer, both on and off the field. As soccer viewership and fandom continue to grow throughout the U.S., Heineken is continuing to bolster the overall soccer experience this year with momentum built around the 2018 FIFA World Cup and on the heels of the announcement that the Unites States will host the 2026 tournament alongside Canada and Mexico. Heineken recently extended its long-term partnership with Major League Soccer with a five-year renewal as the Official Beer of MLS, and will continue to sponsor Rivalry Week, which runs from Aug. 22 through Aug. 26. This year’s Rivalry Week includes national broadcasts of major rivalry games including NYCFC-New York Red Bulls, LA Galaxy-LAFC, Houston Dynamo-FC Dallas, Orlando City SC-Atlanta United and Portland Timbers-Seattle Sounders FC. The 2018 Heineken Rivalry Week is elevating and enhancing the overall fan experience by celebrating the connection between soccer, art, and culture. From custom content series to various on and off field activations, fans can immerse themselves into the overall Heineken Rivalry Week experience across countless verticals. In addition to the league-wide partnership, Heineken is a club partner with 11 teams and the brand recently announced a renowned partnership with spokesperson, Mexican national team player and Los Angeles Football Club (LAFC) forward, Carlos Vela. 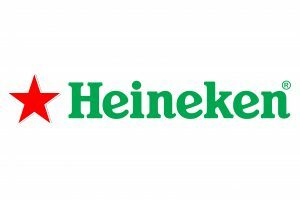 Heineken is the presenting sponsor and official beer of the International Champions Cup (ICC), the premier pre-season soccer tournament that brings the world’s best clubs to the United States. This year, the Tournament will run from Jul. 20 through Aug. 12 and include the largest number of teams, matches and venues yet, featuring 18 of the best clubs in the world playing 27 matches across the United States, Europe and Singapore. The International Champions Cup Presented by Heineken will continue to captivate American fans and deliver on premise events, unique fan experiences, ticket giveaways, and digital content campaigns.